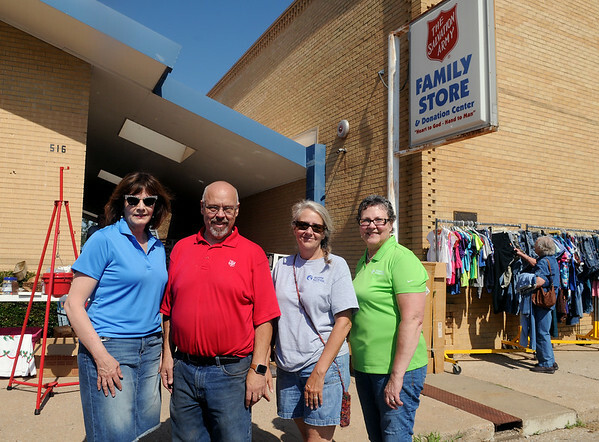 Martie Oyler, Major Ernest Hull, Lorraine Scott and Sandi Gragg pause outside the Salvation Army Family Store & Donation Center Saturday, July 9, 2016. Oklahoma Natural Gas employees assisted with a July Home Energy Aid event. Oklahoma Natural Gas helps with the fundraising and the Salvation Army in Enid and across Oklahoma administer the funds.